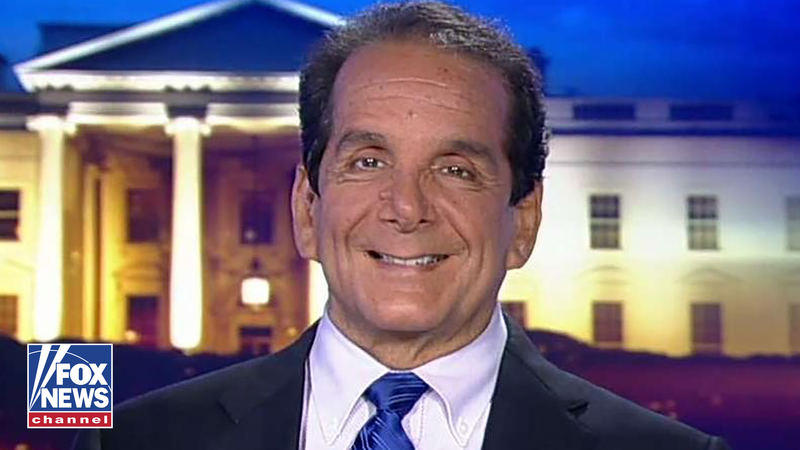 Charles Krauthammer, pictured on the Fox News Channel, died of cancer at the age of 68. His death was announced by the Washington Post, where he was a Pulitzer Prize-winning columnist in addition to his work as a commentator for Fox. 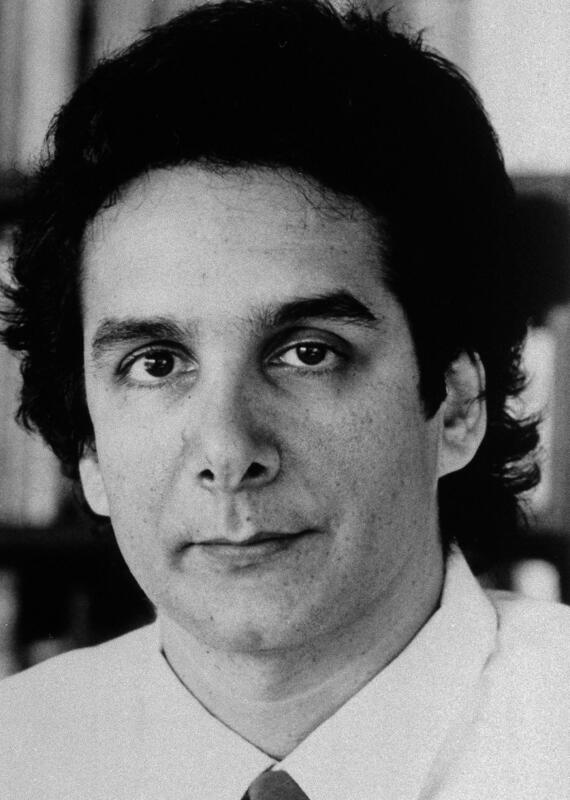 Charles Krauthammer, pictured in 1987, was a columnist at the Washington Post and a commentator on Fox News. Krauthammer built up a record as an intense and prominent advocate of the invasion of Iraq and equally intense and prominent critic of President Barack Obama. Yet he was critical, even contemptuous of President Trump, despite the high regard that many Fox News viewers maintain for the president. And Krauthammer could be caustic: The Post, in its tribute, called him a provocateur. Conservatives paying homage to Krauthammer hailed him as an intellectual beacon. "Charles had become, since the late Bush administration and certainly throughout the Obama administration, the main intellectual guidepost of the right," Stephen Hayes, the editor of the conservative Weekly Standard magazine, said in an interview. "People looked to Charles to consider how to think about things. And he was viewed as a voice of authority." "A gifted doctor and brilliant political commentator, Charles was a guiding voice throughout his time with FOX News and we were incredibly fortunate to showcase his extraordinary talent on our programs," said Suzanne Scott, CEO of Fox News, in an emailed statement. "He was an inspiration to all of us and will be greatly missed." A Harvard-trained psychiatrist, Krauthammer turned an unsparing eye on the nation's politics, starting as a conservative Democrat and moving rightward over time. While at the liberal New Republic in the 1980s, Krauthammer embraced the hawkish foreign policy of President Ronald Reagan, expressing stalwart support for Israel and unrelenting opposition to the Soviet Union. Those stances held a personal component: He was the son of two European Jews who had fled what is now Ukraine during World War II. They eventually ended up in the U.S., and Krauthammer was born in New York. After graduating from McGill University in Montreal and studying at Oxford University, Krauthammer enrolled at Harvard Medical School. "I was looking for something halfway between the reality of medicine and the elegance, if you like, of philosophy," Krauthammer recalled in a 2013 special on Fox News. "So psychiatry was the obvious thing. That was my intention from the first day." He believed that choice was a stroke of good fortune. At the age of 22, at Harvard, during a week in which he studied spinal cords, Krauthammer suffered a fateful neck injury while diving at a swimming pool near campus. He finished his medical training but would be paralyzed from the neck down for the rest of his life. He later concluded that psychiatry would be the easiest medical discipline to pursue given his new physical limitations. And Krauthammer distinguished himself as a researcher and in private practice. However, he was dissatisfied with the profession, deciding he wanted to reach a broader platform. He would write contrarian pieces for the liberal New Republic, advocating a stronger military budget, a muscular anti-Soviet stance and U.S. support for the Nicaraguan Contras, among other positions. The former New Republic writer Jacob Weisberg said Krauthammer and another greatly influential figure, Leon Wieseltier, fought over matters both ideological and personal, as they each sought the favor of then-owner Marty Peretz. "Leon and Charles would snipe back and forth at each other, nastily and often quite hilariously, in the editorial meetings," Weisberg, now the editor-in-chief of the Slate Group, wrote in an email to NPR. "Eventually the feuding got so unpleasant that Charles moved out and rented his own office across the street. You could look out the window and see Charles working at his desk." "Politically, Charles made a right turn that most others at the magazine didn't follow. But I think his old colleagues not only liked him a great deal personally but admired him as a principled conservative — today an endangered species. After Charles, it takes another big step toward extinction." He raised hackles in a broad range across the political spectrum — from his defense of the use of torture to his strong opposition to Trump. Fox News host Tucker Carlson called Krauthammer a fearless thinker who never pandered. "That's a rare quality in broadcasting," Carlson told NPR. "Even when he knew they overwhelmingly opposed his position on something, he said what he thought. He made the case for higher gas taxes and more foreign wars, for example, and he pretty relentlessly criticized Trump. "I can't imagine many of our viewers agreed with him on any of that, but they loved him anyway," Carlson said. "They could listen to Charles because they trusted him, and I suspect they gave him credit for honesty. Pretty impressive, I thought." While he often dealt with fatigue and pain it was a cancer unrelated to his paralysis that ultimately threatened his life, and he took leave last year from Fox and the Post. In a poignant farewell column earlier this month, Krauthammer wrote he had "no regrets." "This is the final verdict. My fight is over," Krauthammer wrote. "It was a wonderful life—full and complete with the great loves and great endeavors that make it worth living. I am sad to leave, but I leave with the knowledge that I lived the life that I intended." The Pulitzer Prize-winning conservative columnist and commentator Charles Krauthammer has died. He was 68 years old. Krauthammer has been a mainstay of The Washington Post and Fox News for years. The Post confirmed his death this evening less than two weeks after he wrote a farewell column for the paper. NPR's David Folkenflik joins us now. Hi, there David. CORNISH: Now, Charles Krauthammer - he transformed politically - right? - over time. What defined his writings or even his influence? FOLKENFLIK: Well, I'd say he was seen as unsparing. I'd say he was seen as intellectually rigorous and precise. He trained as a psychiatrist, but he brought a real intelligence to bear. He's thought of himself initially as a conservative Democrat. He'd been a speechwriter for Vice President Walter Mondale, a Democrat, and he had sort of seen himself as part of the hawkish wing of the party, worked at The New Republic, which was seen as a liberal publication. But he, as its owner, tended towards the right. He himself had a transformation - really strongly hawkish on issues of the Cold War and others. And he emerged as somebody who was a rallying cry for conservatives, among others, who were looking for somebody intellectual to follow with some vigor, particularly in the Reagan years. CORNISH: What were some of his key issues? FOLKENFLIK: He was very strong on the Soviet Union. He was very strong on Israel, very hawkish towards it. His father and mother had emigrated from what is now the Ukraine - they're Jews - during World War II. And he thought that it was important to sustain the strength of Israel over time. He saw also a sense of what he saw his role for honor in a society, and so he rallied to a lot of the foreign policy issues of Reagan, was very critical, for example, of President Clinton on personal issues, the Lewinsky scandal and others but seen as somebody who was very principled and painstaking in where - in the way he went about his commentary. CORNISH: Tell us more about his background 'cause I understand he didn't set out to become a journalist. FOLKENFLIK: No. As I said, he went to medical school. He went, in fact, to Harvard Medical School after studying at McGill in Canada and then at Oxford in England and had gone to medical school. And then there was a fateful day that changed everything. KRAUTHAMMER: ...I knew exactly what happened. I knew why I wasn't able to move, and I knew what that meant. FOLKENFLIK: He had been studying that week the spinal cord, and he'd suffered himself what was a crushing spinal cord injury that made him a quadriplegic for the rest of his life. He studied psychiatry and then felt that was unfulfilling and found journalism and in that found another calling even though he practiced as a psychiatrist for years as well. CORNISH: We mentioned earlier his farewell column. What was in it? FOLKENFLIK: It was really poignant. He talked about a meaning. He talked about living a life that he had intended to leave. He talked about living a life without regrets. I spoke to some of his former colleagues in recent days after that farewell column, and they said it was a quintessential Charles Krauthammer piece, an essay - reflective, insightful. You know, he was somebody who was much championed and celebrated by conservatives and at times really condemned by liberals. And at the same time, he was somebody that his colleagues said could often see the humanity and unexpected moments, could look at people who were being condemned, you know, on personal terms and say, you know, that's not right; we're demonizing people, and people are often working through troubled issues. Charles Krauthammer had what could have been a crushing injury that could have in some ways wrecked his life, and he emerged in some ways to have lived a life in full. CORNISH: That's NPR's David Folkenflik. David, thank you so much.